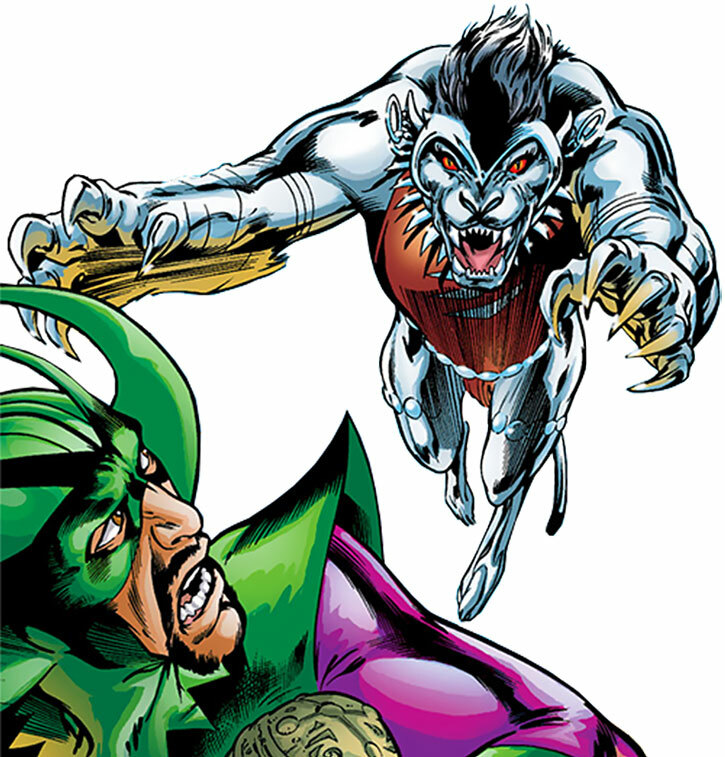 Silverclaw is a minor Avengers member. 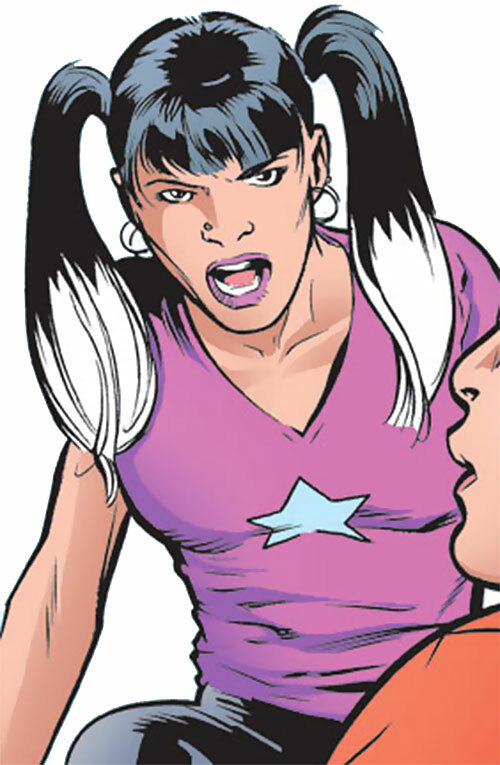 She primarily appeared during the early 2000s, during Kurt Busiek’s Avengers run. 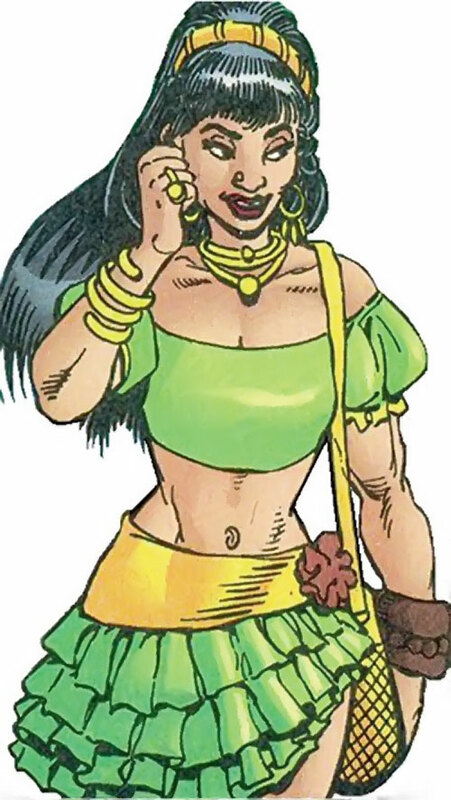 She’s a shapechanger from Latin America with zoomorphic powers. Real Name: Maria de Guadalupe “Lupe” Santiago. Other Aliases: Daughter of the Volcano God, La Garra Argentada, La Garra Plata. Note: While she refers to herself as “La Garra Argentado”, this is a masculine form. In Spanish “Silver Claw” is “Garra de Plata” or “Garra Plateada”, or even “Garra Argentea” in a somewhat archaic way. This has been fixed in the first quote. Known Relatives: Jaime Santiago (father, deceased), Peliali (mother, deceased). Eyes: Brown Hair: Black (white on the ends). Silverclaw can take on the attributes of animals. Her province has been claimed to be all the jungle creatures native to Costa Verde, or possibly all of South America. However this seems incorrect, given some of the animals she’s mimicked aren’t native to the region. 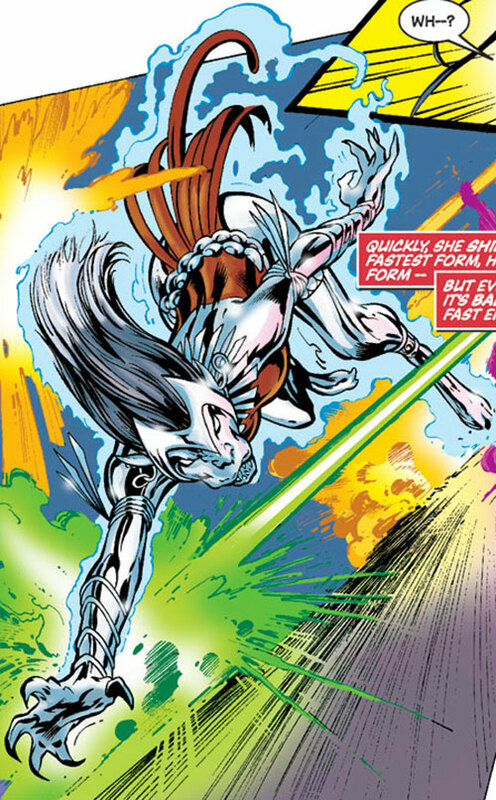 In her powered form her skin turns silver, and despite the traits she adopts she retains a basically humanoid shape. Even in her human form she’s extremely agile, and is resistant to attempts to alter her form. Her physiology is apparently not human, so attacks targeting humans, even ones such as Thor, do not affect her. She’s had training and experience at piloting the Avengers’ Quinjet, both in the air and in space. However she lacks confidence in her ability. The Kamekeri, which is also the name of their village, are a small tribe indigenous to Costa Verde. They worshipped the Incan and their own local gods before being converted by missionaries. Losing believers, the local gods departed. The exception was Peliali, the Volcano Goddess, who refused to abandon her home or people. A young Kamekeri, Jaime Santiago, studying the old ways, went to the mountains where Peliali was said to dwell. He claimed to have found her, although his claims were mocked by his neighbours. Still, he continued going to her, and eventually returned with an infant girl he claimed to be his by Peliali. When she was old enough, Jaime took his daughter to the caves where he’d met her mother. But she was never there, and even Lupe began to doubt him. He died while she was still young, and Lupe was taken in by the church orphanage. Seen as odd from an early age, especially after her nature as a shape-shifter was revealed during her christening, Lupe did her best to fit in. She actively tried to distance herself from the old superstitions by embracing the modern world. She was the first to get a nose piercing, ventured to the nearest city more often than her peers, and immersed herself in American popular culture. When a sponsorship program brought a letter from Edwin Jarvis, Lupe was made the subject of his sponsorship. It was hoped that his connection to Tony Stark might one day help her, and she began corresponding with him over the years, although she never revealed her full background. Gaining a place in Empire State University, she finally travelled to New York to meet Jarvis. Her flight was taken over by agents of Moses Magnum, using it as a distraction to steal a seismic cannon being shipped through JFK airport. Lupe tried to stop them, but they used the other passengers as hostages to force her to work with them, which she only did as long as they promised not to kill anyone. Touching down at JFK, they attacked the Airport, drawing the Avengers’ attention. When subdued by the Avengers, she told them everything, but Magnum was able to escape with the cannon. Finally meeting Jarvis, Lupe convinced the Avengers to let her help in recovering the cannon, and was granted reservist status. She attended university. Guadalupe spent some of her spare time at the Avengers Mansion, both with Jarvis and receiving training. 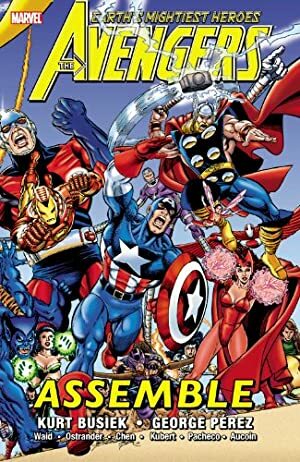 When contacted by Captain America to join a covert Avengers team alongside himself, Warbird, Ant-Man, and Captain Marvel (Genis-Vell), she jumped at the chance, and joined them in infiltrating a Triune Understanding building. 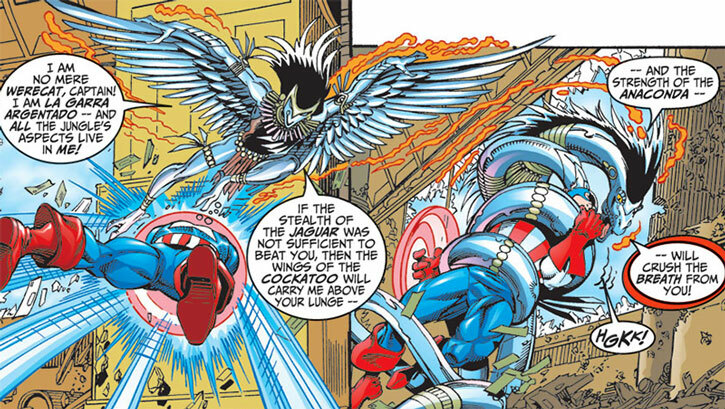 “Captain America” turned out to be the Taskmaster in disguise, however, setting them up to damage the Avengers’ image. They avoided doing damage themselves, but still got blamed for the attack. Receiving a telegram from Costa Verde of danger at home, she returned there with the Avengers. 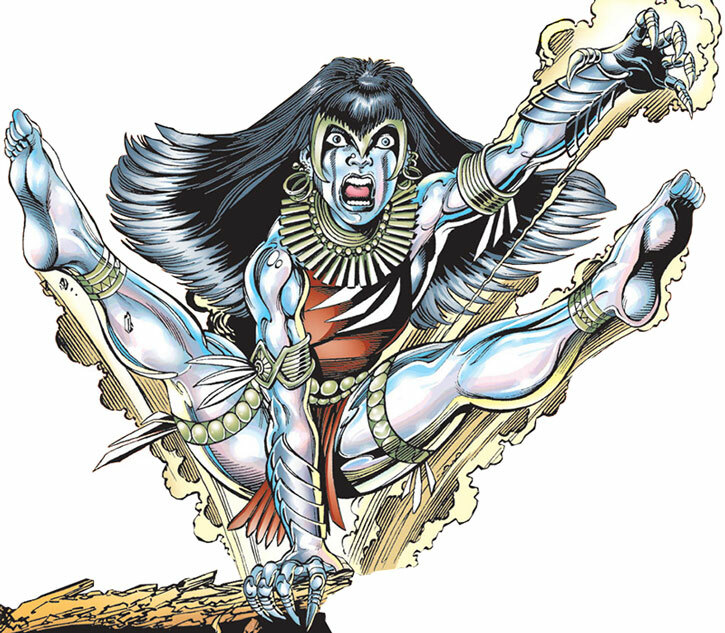 Silverclaw found that the sorcerer Kulan Gath had transformed her village into a Hyborian Era city, and intended to sacrifice her mother, Peliali, to attain godhood and destroy the planet. 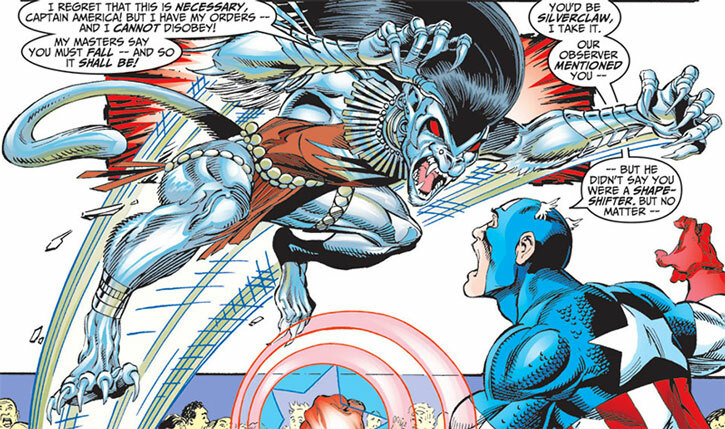 While the Avengers distracted Gath, Silverclaw was able to convince her people to channel their belief into Peliali. This allowed the goddess to escape in time, leaving Gath to take her place as sacrifice to his demonic masters. Peliali was already gravely drained by this point, though, and died in Lupe’s arms. 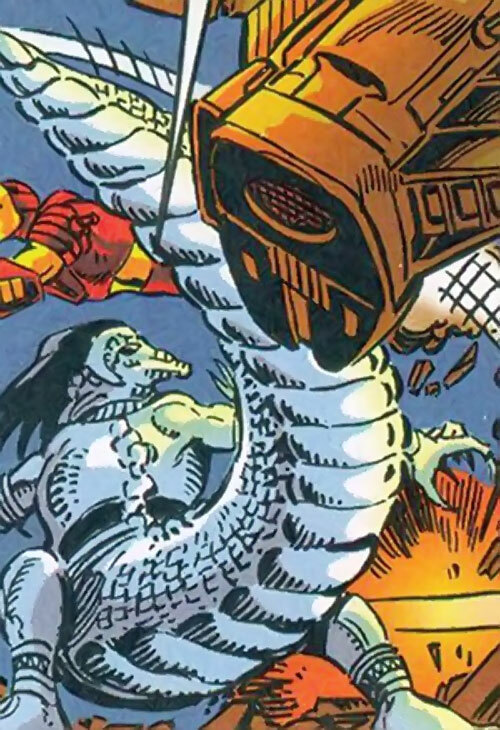 While the Avengers were dealing with an outbreak of Hulks around the world, Silverclaw happened to be at the Mansion when Diablo, who had created the Hulks as a distraction, tried to recover an ancient artifact buried nearby. She confronted him, and kept him occupied until reinforcements arrived. 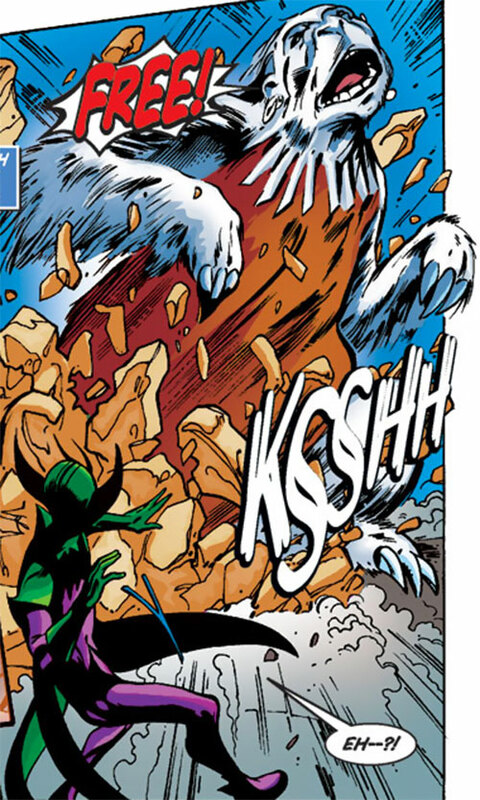 She was part of a small group of Avengers on hand when one of the Thanosi (renegade Thanos duplicates) tried to hunt down Mantis’ son, Sequoia, the celestial messiah. They travelled into space, finally confronting the Thanosi and Death itself. During the quest, Lupe was attracted to the extra-dimensional Haywire, but his obsession with his dead girlfriend prevented him from feeling anything, and he eventually threw himself into Death. When Earth was turned into a prison planet by a Kree plot. During Kang’s latest invasion of Earth. When the Scarlet Witch went insane and tried to destroy the team. During the Civil War, she was among those refusing to register, citing her foreign status. This didn’t stop Ms. Marvel from arresting her. She was freed, and following the Civil War she wasn’t part of the 50 State Initiative, due to her foreign status. Presumably she’s still in touch with Jarvis, though. Enthusiastic and earnest, Lupe was overjoyed to be an Avenger, and has a strong bond with Jarvis. She had little trouble coping with even the cosmic scale troubles the group sometimes faces. It’s unknown how the Civil War will affect her feelings for the team, but she could well hold a grudge against Ms. Marvel. 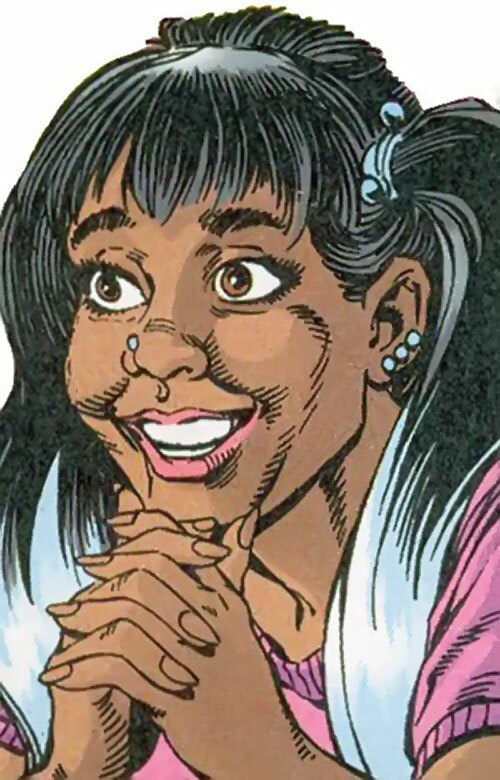 She briefly joined the Teen Titans during the year when they went through a number of different line-ups, but felt like a fill-in for Changeling, so didn’t stay long. Animal Mimicry includes adopting physical traits of the animal(s) mimicked (or possibly even a full transformation), and allows natural weaponry to be mimicked (+1). Animal Mimicry allows Advantages to be mimicked at the cost of 1AP of the Power being assigned to them (+1). Power Reserve may power her Physical Stats, Growth, Stretching, or Powers/Skills mimicked via Animal Mimicry (+20BC +1FC). Languages (Spanish), Misc. Advantage (Non-human physiology). Edwin Jarvis (High), Avengers (High). Silverclaw can alter her body to take on the attributes of a number of creatures (quite possibly more than she’s so far displayed). When powered up, her body becomes silver, and when she adopts an animal’s traits she usually undergoes at least a partial physical transformation where she adopts elements of the animal, usually those necessary to use their Power (such as wings for Flight, claws for Claws, etc. ), but usually remains at human size. She sometimes changes shape to almost a duplicate of the animal she’s channelling. If imitating multiple animals, she usually has a chimeric mix of their traits (taking one or two abilities from multiple sets below). Anaconda – Self-Link (Snare): 10 (05). Cheetah – Power Reserve split among her Physical Attributes as 01/01/01, Claws: 05 (04), Running: 06, and Lightning Reflexes. Cockatoo or Condor – Flight (Winged): 05. Crocodile – Extra Limb (Tail): 07. Jaguar – Power Reserve split among her Physical Attributes as 00/02/01, Claws: 05, Jumping: 02 (01), Running: 04, and Lightning Reflexes. Llama – Growth: 03 (00), and Running: 04. 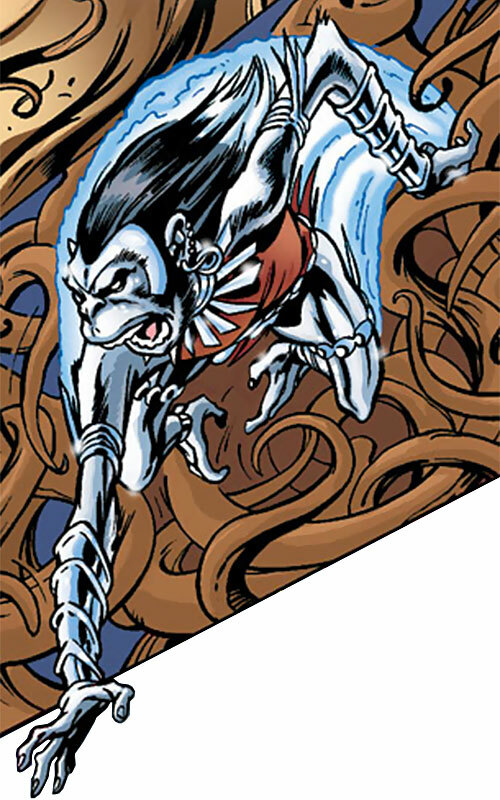 Monkey – Power Reserve split among her Physical Attributes as 01/01/00, Jumping: 02 (01), Shrinking: 01, Acrobatics: 07 (04), Lightning Reflexes, and Prehensile Feet. Sloth – Growth: 06 (02), Acrobatics (Climbing): 04 (03), and Prehensile Feet. 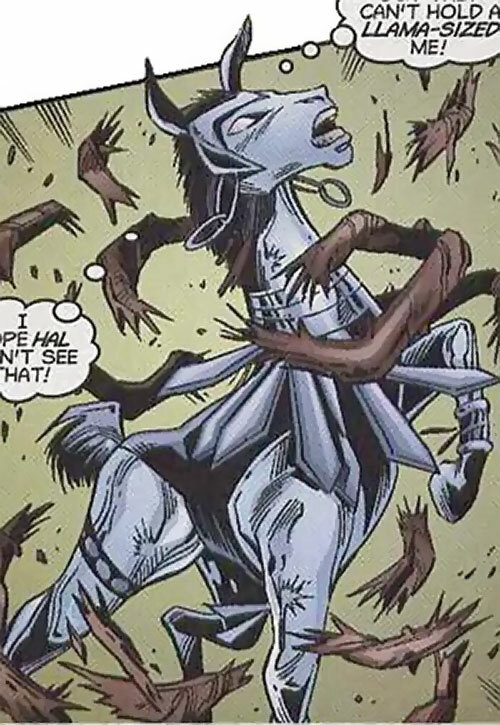 Some of the abilities she seems to draw from animals (primarily growing and stretching) are claimed to come from animals which don’t have these Powers, and for whom they’re hard to explain. So these are treated as expansions of her shapechanging abilities, and she has the Powers at 0 APs, into which she can feed Power Reserve while coming up with a relatively acceptable explanation for their origin. I’ve made some assumptions about animal stats which don’t match those in the animals file at the time of writing: Anacondas have Self-Link (Snare) at 5 APs; Monkeys have 1 AP of Jumping, 1 AP of Shrinking, Lightning Reflexes, and Prehensile Feet; Sloths have 3 APs of the Climbing Subskill of Acrobatics, and Prehensile Feet, and she appears to channel an extinct larger species of sloth which has 2 APs of Growth. Helper(s): marvel.com , Chris Cottingham, Darci, Mike Winkler, Roger, Adam Fuqua. Writeup completed on the 28th of May, 2010.